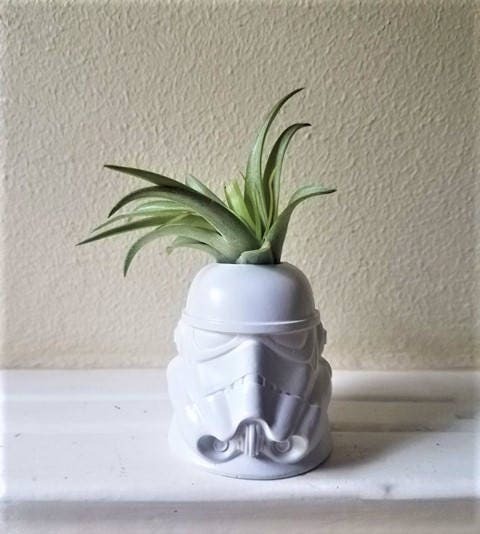 This Trooper measures 2.5"x 2" , opening for plant is 7/8" (designed for an air plant) death star available in separate listing. 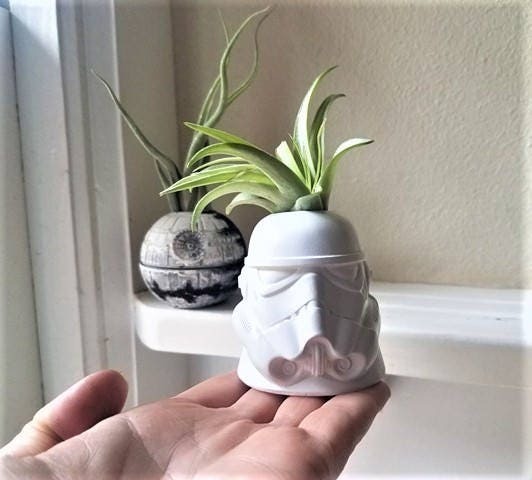 **Will come with an air plant!! 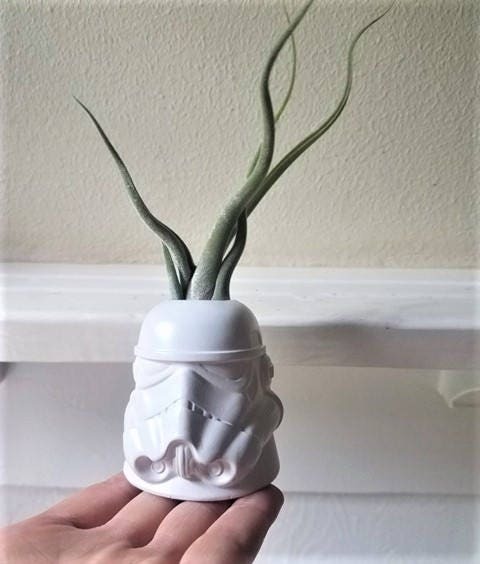 See my shop for more geek chic gifts. 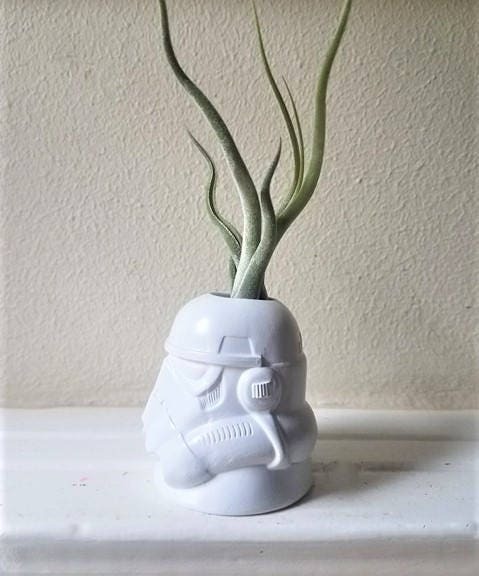 **plant may be of a different variety than the ones shown. 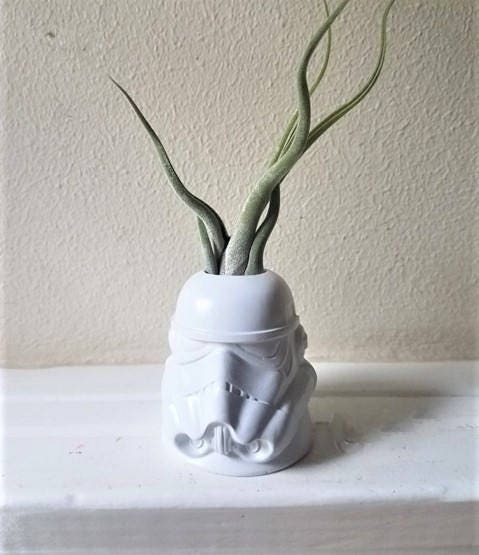 Bought this as a gift. He loved it. Love this so much! Lions perfect on the shelf in our nursery! Thank you!